Tom Dean is a completely self-taught artist from Great Falls, Montana. 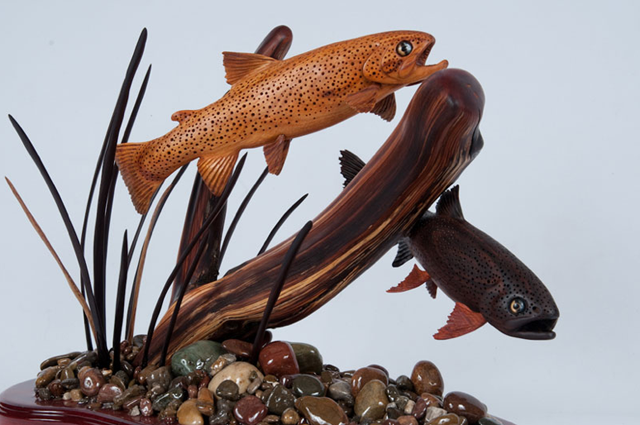 His custom one-of-a-kind wood carving sculptures have sold to private owners, corporations and collectors across the United States and Canada. 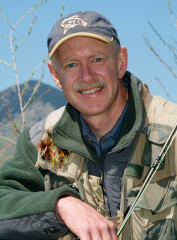 Tom has taken his 40 year passion of fly fishing in Montana and has turned that into another passion of his; hand carving native trout, dragon fly’s, cattails/reeds, frogs, other fish species and more recently full sized bison skulls out of exotic woods from around the world. Including woods from Africa, Australia, Brazil, Central America, Hawaii and elsewhere, setting them into their natural river environments. Visit his site to check out more of his incredible work.